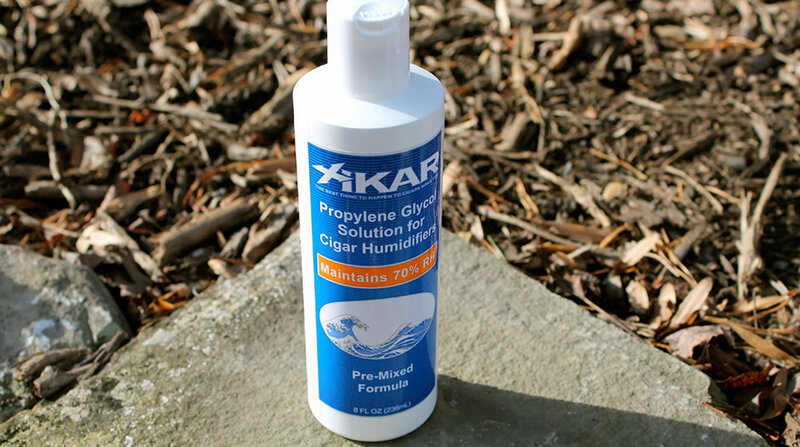 Xikar PG Solution (Propylene Glycol) is manufactured to exact specifications. When added to your Ammodor’s Xikar humidifier in your humidor, it becomes a two-way humidification system will keep your humidor at 70%-75% Relative Humidity – ensuring a “humidor fresh” smoke every time. Pre-mixed and ready for use! Use XIKAR® Solution every time your Xikar humidifier needs fluid. You may fill your humidifier directly from this bottle. It’s just that simple!